Voice Mobile introduces reliable and stylish Smartphone for its valued buyers with reasonable charges. 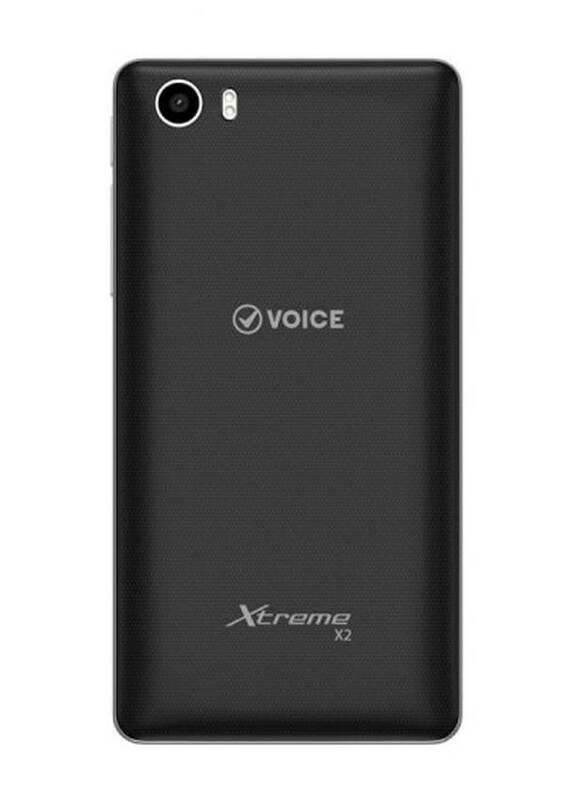 The name of newly launched Voice Smartphone is Voice Xtreme X2. It is providing phenomenal latest Smartphone features in this mobile phone for using with correctly. Voice has included speedy processor feature of Quad-Core 1.2 GHz along with 1 GB RAM. It is also giving a dual SIM usage option in it and user of this hand-set can avail two SIMS connections by using this product. Voice has given stylish and shining black beauty structure of this hand-set. There are largest number cellular operators easily attract after seeing this hand-set for using. It is also giving facility of phenomenal rear and front camera feature and user can avail 5 mega pixels rear and 2 mega pixels front camera facility after buying this product. It is also giving countless Smartphone incentives in this hand-set and user of this product can avail Wi-Fi, Bluetooth, GPRS and FM-Radio options through this mobile phone. In this present tenure Voice is launching cellular phone with latest incentives and it is also providing 3G internet technology feature for using fastest 3G internet service by using this hand-set. This is one of remarkable hand-set has introduced from this Company and user can avail all latest and unique features after buying this product. Voice has introduced this hand-set with cheap price and different criteria cellular users can afford this Smartphone for using with correctly. The details of specification are also mentioned as below. Network: GSM: 850/ 900 / 1800 / 1900. Memory: 4 GB Built-In Memory. Rear Camera: 5.0 Mega Pixels (Flash-Light). Front Camera: 2.0 Mega Pixels (Auto-Focus). Display Screen Size: 4.0 inches. Display Pixels: 480 x 800 Pixels. Display Colors:WVGA IPS Display Color Screen. Bluetooth, USB, WLAN, GPRS, EDGE, Wi-Fi direct. Audio: Stereo FM-Radio System, MP3, MP4, 3.5mm audio jack, WMA Player, WAV Players. Messages: SMS, MMS, Email, IM, Push Mail. Ringtones: Mp3, Downloadable, Polyphonic ringtones, Sound-recording, WAV files. Other Features: GPS Support, A-GPS Support, Speaker-Phone, Long-Battery, Shine Black Body. Latest Features: Dual Stand-By, Document Viewer, Predictive text input, External storage SD up to 32 GB. You may also like these: Voice Xtreme X3 and Voice Xtreme X5.